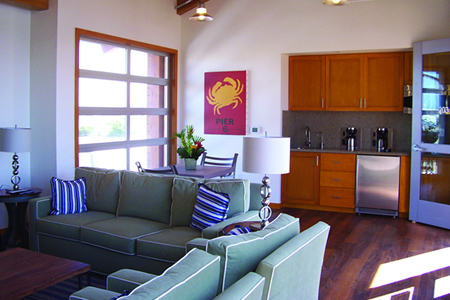 A 345 square foot lounge is available for our boaters and their enjoyment. Your living room is complete with a full coffee bar, mini kitchen and table and chairs. Also available are two couches, coffee tables and nice big flat screen TV hooked up with satellite TV available 24 hrs a day seven days a week. 168 square feet stocked with all new front load washers and dryers. All coin operated and available 24 hours a day. 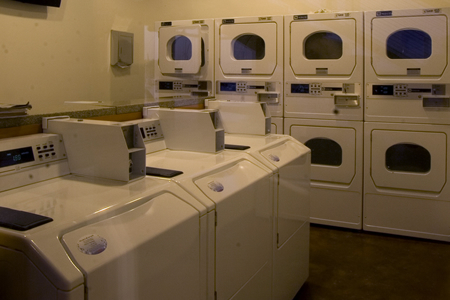 Our laundry room features a flat screen television and satellite TV to help pass the time. With 41 inside storage units available ranging in size from 2x2x4 to 2x4x8 and 47 outside storage units available from sizes 2.5x4x6 to 4.5x4x8 boaters can enjoy all areas of their vessel without clutter and storage limitations. 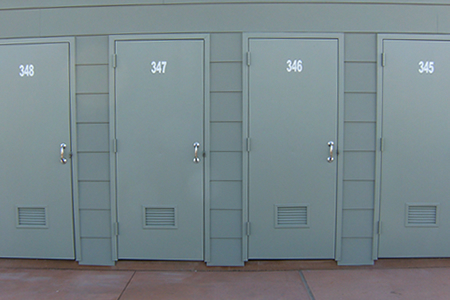 We also offer lockers inside our shower facilities for convenient storing of your shower caddy or towels. 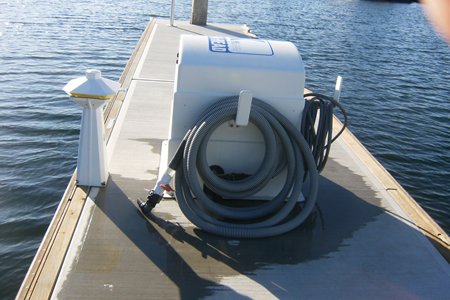 A free self service pump out dock is readily available for all boat tenants of the marina. 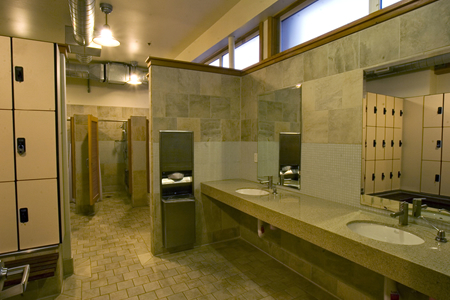 Pier 32 Marina offers all new state of the art restrooms with shower facilities and several indoor lockers which are available to rent for a low monthly fee. Pier 32 offers the first of its kind “exchange program”. When you have half a can of acetone that you don’t need and don’t know where to put it, we can help. 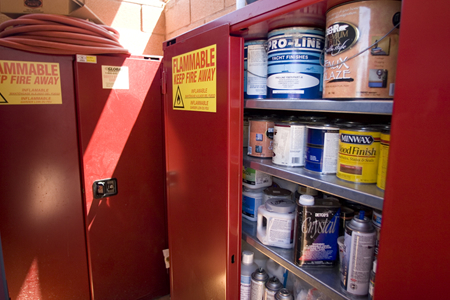 Store that half used can of acetone, epoxy, paint, teak oil or just about anything else you use to maintain your vessel in an OSHA approved secured storage area. If you need just a little bit of paint thinner, check with us first and you might find it in the “echange program”. We have an approved collection facility here at Pier 32. We arrange for off-site disposal by a licensed HAZMAT carrier, which is free to our tenants. 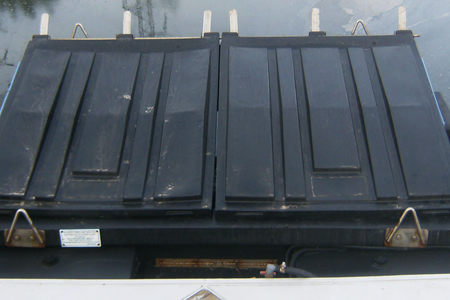 We are able to accept uncontaminated motor oil (no water or fuel mixed in), oil filters, bilge pads and used batteries. 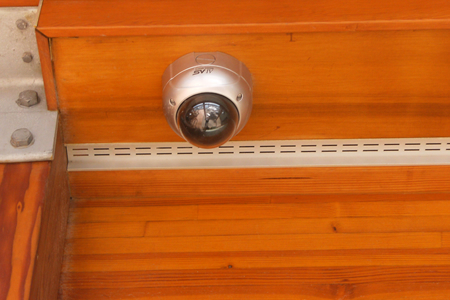 With over 37 video cameras which are recorded and monitored throughout the property, this helps make our marina a safe and danger free area. Security guards are also on site during certain hours. We have installed a Marina Trash Skimmer along the 600 dock and dinghy racks. 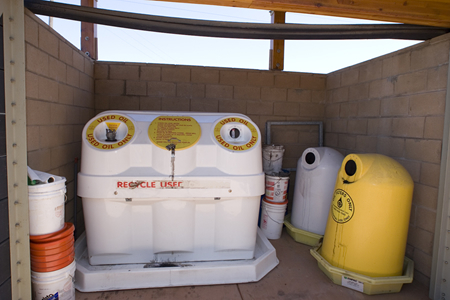 Our “Clean Machine” collects trash such as Styrofoam cups, plastic and glass bottles, plastic bags, wood and cardboard, and also removes the oil sheen from the water’s surface. 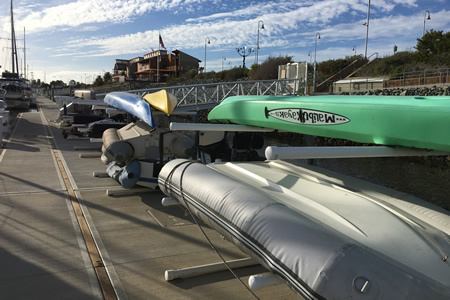 We offer dinghy racks as well as outboard motor racks and convenient fuel lockers for a low monthly fee. If that dinghy is in your way clear up some room and secure it on a rack.